The first post in the series School at Home, can be found here. 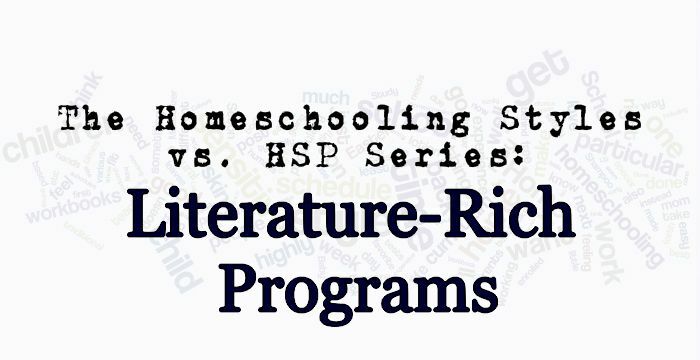 There are many types of homeschooling that use literature, but for the purposes of this post, I’m going to focus on the programs that have a main focus on the literature, and do much of their teaching from the literature, such as Sonlight, Winterpromise, and Moving Beyond the Page (feel free to tell me about others out there in the comments). You can also, as always, create your own literature rich program. Quality literature is a wonderful way to let our sensitive side shine. It is a great and often pleasant way to share wisdom with your family without seeming preachy. Stories can be healing, for you and your children. It can be a way for kids (and you!) to process things you are going through in a less threatening way than thinking about your own issues directly. And taken from the Sonlight website: it’s light and portable! 🙂 It’s so much easier to take your historical fiction novel to bed, or up a tree, or in a lounge chair in the backyard, than to lug a textbook. So you can make yourself more comfortable while still homeschooling. 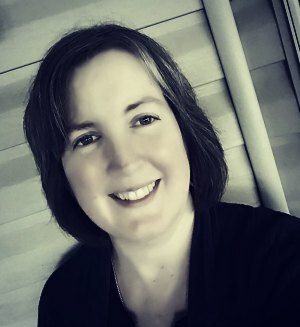 I have several years’ experience using Sonlight as our main curriculum, and have also created my own similar curriculum using several booklists, typically borrowing heavily from Sonlight and adding in books from other sources on the same general topic or period of history. Honestly, those years carry many of our favorite memories of homeschooling. While some children (and parents) feel the books are too depressing and heavy for the ages they are assigned to, my children loved them. Well, most of them. I did struggle reading aloud during those toddler years. It was just so much craziness some days. I think I was much more bothered by it than my kids, but “shout reading” so I could be heard over the 2yo yelling at my knee was just super stressful to me. Many moms choose to use nap times, but that was the only time I could work one on one with my LD student (or sleep myself!) so that is what I usually did. Audiobooks were lifesavers when I could find them, but it made it harder to have in-the-moment discussions about what we were reading, and I always thought that was one of the best parts of reading aloud when homeschooling. We could never follow the Sonlight schedule, especially when Sonlight said to stop reading in the middle of a chapter. Heaven forbid! 🙂 My kids (and I) revolted. In retrospect, those were good years but I’d say the literature rich programs were just *too* many books for us to study (free reading is another story). I think our family needed more balance, but perhaps “all those stories” is what helped me keep a shred of sanity in a stressful time. What are your experiences with the literature rich homeschooling? Does it mesh well with your particular personality and family? I’d love to hear about it in the comments. Disclaimer: These posts are simply my opinion based on my own experience and study. Please make sure to follow the homeschooling laws required of your own state/country. Thank you Kacky! I knew about (but had forgotten) the Living Books Curriculum but had not heard of Build your Library. We did a literature rich style of homeschooling for several years and it didn’t involve a lot of reading aloud. We would read a chapter or two of a book each day and then base our studies around that. So it was kind of like unit studies with literature as the heart, I guess. When children are younger, non-fiction picture books can be tackled over the course of a week. We did a marvellous study of salt based on one of the best picture books I’ve seen, it took about a week or two – we went very slowly through the book. Lots of fun, and so easy for a homeschooling mother because your material was written for you in a beautifully engaging way, all you had to do was come up with interesting extensions of that material – or leave space for your child to do so. Of course, when children get older the reading level goes up and then it can get tedious. A literature based study of the French Revolution, for example, may be wonderful but there’s a lot of heavy duty reading that needs to be done and so it can be a very very slow course which quickly gets boring. It’s one thing to spend a year on Little House on the Prairie, when there are so many fun lessons to be had, but another to spend a year dealing with the intricacies of politics. I commend you for being able to take books slow. I’m sure it’s a poor reflection on my character that we binge read more than savor. The literature approach works for us, but I’m operating with a smaller group of children. I read aloud much less…I admit to making more private reading and narration than is usually suggested. 2 Januarys ago I had to really withdraw from night-time reading for health issues and my husband had to step in…and I’m just not ready to take over again. I’ve really been bad at narration with them. I guess if I could put down the book instead of reading just one.more.chapter, then I’d have more time for it. I may be biased, too, as the reading aloud for the curriculum was the best part, but then I wound up being talked/read out with needing to do so much oral with the dylsexia, and just the general discussion in a house full of *girls*. Girls raised by a speech-language pathologist who thought it was the greatest thing to increase my kids language abilities from a young age. WHAT was I thinking! LOL!